I’ve been writing about OCD a lot lately. 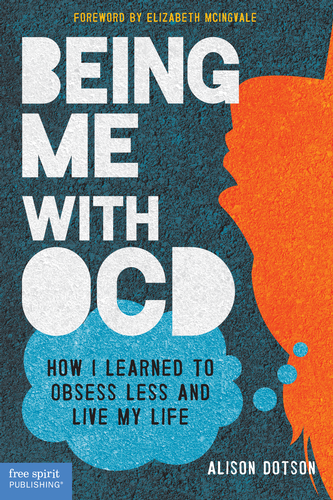 And I’ve been mentioning it to a lot of people, because when I mention I have a book coming out their first question is “What’s it about?” But I’m not sure I’ve ever actually sat down with another person who not only has OCD but is doing as well with it as I am. Earlier this week that changed. I met a fellow OCD blogger for coffee, and it was like being on a first date with someone you have a ton in common with, the kind of meeting that goes by so quickly you don’t realize what time it is and you’re not done talking. I’ve gotten so used to telling other people about OCD, explaining what it’s like, and here I was, just talking about it with someone who already understood, firsthand. Someone who’d had many of the same obsessions I’d had, someone who’d gone through life for decades without understanding what was wrong, and someone who’d pretty much beat the disorder into submission. We kept enthusiastically agreeing with each other, exclaiming “Yes!” when one of us said something that really hit the nail on the head. I highly recommend talking with another person with OCD. I know it’s not always easy to find others who have OCD, and when you do they may have totally different symptoms and be at a different stage than you are. But even if you can’t meet in person, try to chat with someone. There are online support groups, phone numbers you can call, and local events. Check out the list offered on the IOCDF website to get started.